BBQ for Two | Our Backyard | dreaming of the next bite. It just so happens that some days, there is no place you would rather be than home. We had one of those days on Labor Day, which turned out to be a peaceful and obligation-free day off together. 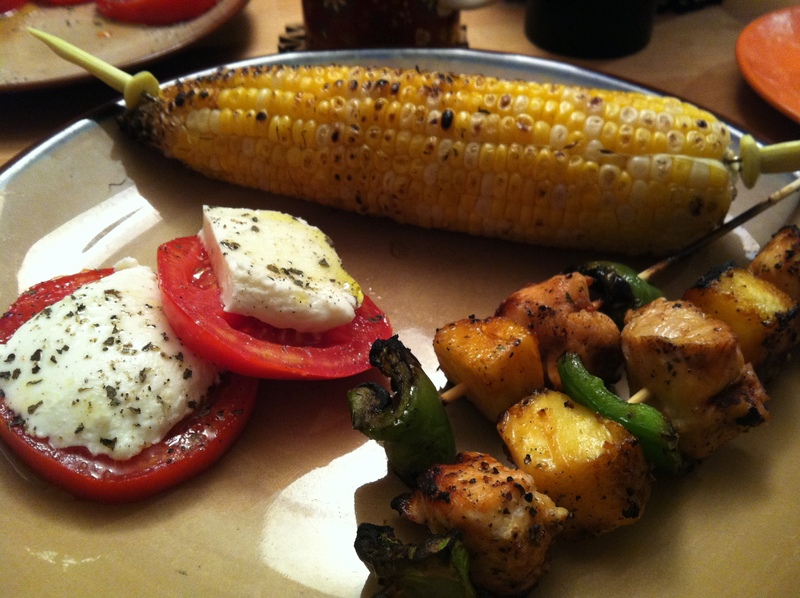 With a fridge full of food, including some fresh veggies from a very local garden (thanks Dave and Carol), we decided to head outside for a late summer backyard BBQ, for two. One of the perks of the end of summer in northeast Ohio is all the fresh vegetables, including corn, which is at its peak and absolutely delicious this time of year. We made a soy sauce based marinade/glaze for the chicken kabobs, which paired nicely with the pineapple and green peppers (also newly plucked). The garden fresh tomatoes were sweet and delicious with fresh mozzarella slices, garlic-infused olive oil, and herbs. 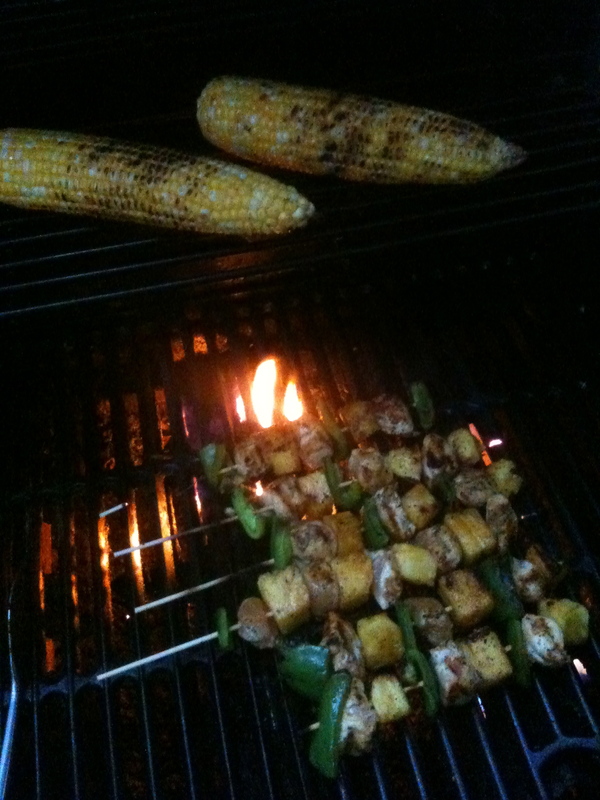 And the grilled sweet corn was divine – the combination of white and yellow kernels is my favorite. Yes, this meal was tasty, if I may say so; call it an Asian-American-Italian-fusion-backyard-barbecue feast. So in case you were wondering, yes we do cook. Occasionally. This entry was posted in Canton, OH by Yvette (@foodiedreamer). Bookmark the permalink.